Jeffery Thompson tells TNJ.com about his move to Poland to pursue a new startup that focuses on photography. Jeffery Thompson, User Attraction Officer at Shuttout Ltd.
An American is making history in Poland. 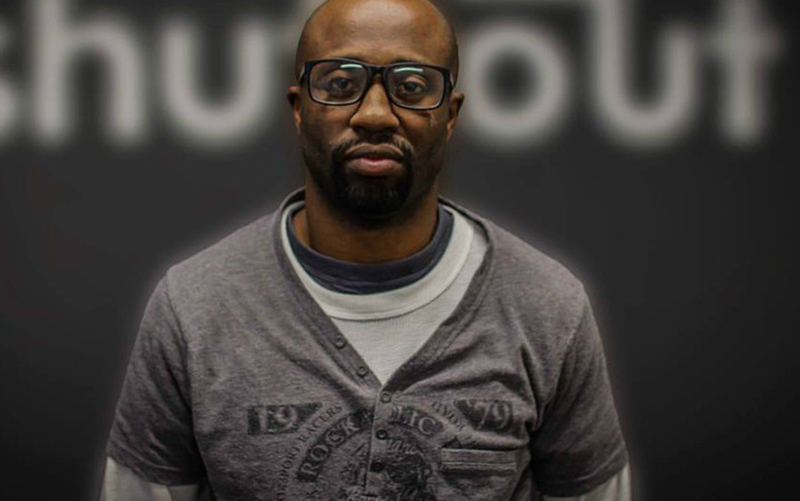 Jeffery Thompson recently became the first Black person to ever be part of a startup in Poland. Thompson is the User Attraction Officer at Shuttout Ltd, joining the tech startup in December 2017. Shuttout is an internet platform for amateur photographers. Not only can users post their photos, they can also participate in competitions as well as earn money. In this position, Thompson handles media channels management and user engagement in which he builds a community of users for Shuttout. He?s also handling marketing and communication strategy and execution. Photography is right up Thompson?s alley. The St. Louis native is also a noted indie filmmaker, hip hop recording artist, comic book writer and for a while played and coached American football on the international circuit in countries such as Egypt, Poland, Slovakia and Brazil. In fact, he was in Germany working on a few marketing projects when the Shuttout opportunity came about. Thompson tells TNJ.com about his new Shuttout post and more. TNJ.com: How did your partnership with Shuttout happen? Jeffery Thompson: I was living in Germany back in October/November. I knew where I wanted to be in life, but was lost and confused. I was sort of going through a tough time, dealing with a breakup. I started contacting companies and connected with the CEO, Matt Ch?odnicki, in a group on Facebook. We connected immediately and had a common philosophy on things with film and entertainment, and we shared a similar background in entrepreneurship and stories. I packed my bags, took the bus to Poland and got here ASAP. We went to see “The Last Jedi” and that was pretty much the icing on the cake! TNJ.com: What is your role within the company? Jeffery Thompson: I wear a few different hats, but my official title is “User Engagement Officer.? ?I have to create content to engage and attract users. I use my film background to create ads and I run the social media pages, I speak with users too on customer support, and speak to influencers and companies for possible partnerships with Shuttout. TNJ.com: What does Shuttout do exactly? Jeffery Thompson: We host social photography contests. During the contests–the community votes for the best photos. There’s a basic entry and a premium entry. So, there are two winners voted by the community. TNJ.com: How does it feel to be the first Black person as part of a startup in Poland–ever? Jeffery Thompson: Well–now we?re all about making history. I think with the current landscape in America, Black Americans have been persecuted and almost forced to be excellent. Yes, we had a Black president, but we have more great things to accomplish as a collective. We’re creating history more so in tech and entrepreneurship, which is in its infant stages compared to accomplishments in sports and entertainment. The aspect of Poland is unique within its own experience; growing up, we don’t hear people say “I dream of going to Poland” so, to be here has that “wow” factor to it. TNJ.com: How did you wind up in Poland? Jeffery Thompson: I searched here cause like I mentioned before– there is a love aspect to the story–I wanted to be near a woman I loved; she’s Polish and studies university here…It just so happened that I found a great company at the same time. It all worked out in the end. TNJ.com: What have been some challenges with the experience? Jeffery Thompson: When I first came I would say the communication was the toughest part because of the language barrier. The cultural aspect would be the other hard part. Now, it seems we’ve found our way– just time and repetition like with everything else. We’ve found our groove and things are running smoother. TNJ.com: What were you doing prior to this venture? Jeffery Thompson: I was playing American football in Germany which I am retired from now. I was also a freelance filmmaker and working on other creative projects. TNJ.com: Have you experienced much racism during this period? If so, how? If not, why do you feel that is so? Jeffery Thompson: Not so much, I guess it’s the company I keep. We all know racism exists here– but I do not let it deter me from being successful or achieving my dreams and goals. We have a long ways to go, but striving for excellence is something I strive for daily. Jeffery Thompson: I saw an opportunity in being in a market from a startup point of view that I can apply my American culture while learning another culture. It’s an interesting thing to combine the best of both worlds.